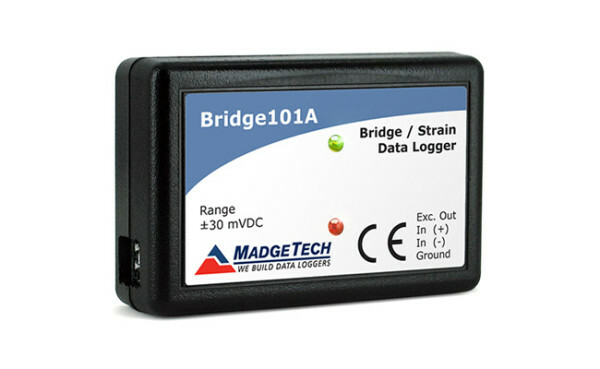 Bridge/Strain Gauge Data Logger. 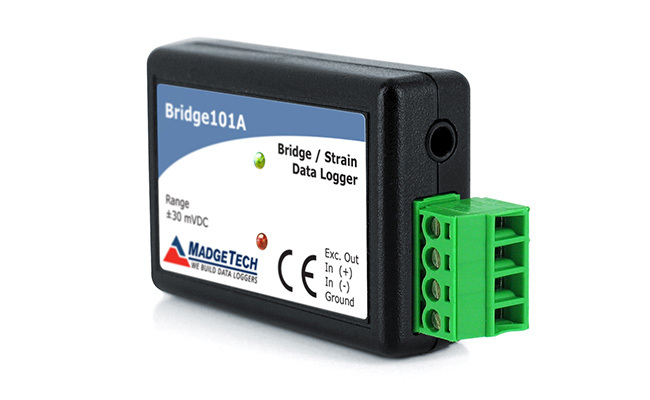 The Bridge101A supplies a 2.5V excitation voltage and accepts voltage signals from strain gauges, load cells and other low-level, DC voltage sources. SKU: Bridge101A. Category: Bridge-Strain Data Loggers. Tags: bridge, strain. The Bridge101A Data Logger measures and records voltage, typically used in conjunction with strain gauges, load cells or other low-level DC voltage sources. This device is designed to accurately measure and record the output of the gauge to determine parameter levels such as stress, torque, strain, and pressure on a structure or item over a period of time. 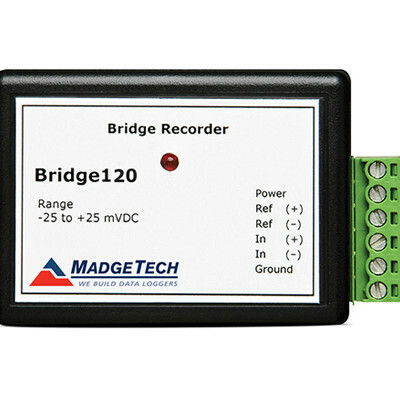 Available in three different measurement ranges (±30 mV, ±160 mV or ±1200 mV), the Bridge101A offers a reading rate of up to 4 Hz with memory capacity of 1,000,000 readings (memory wrap optional). The device can be configured to start at a specified date and time up to 24 months in advance and the pushbutton start/stop feature allows the user to initiate or cease logging data in the field if desired. 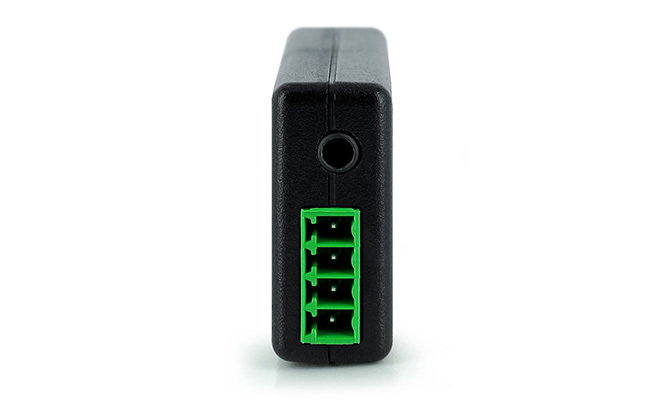 The MadgeTech Data Logger Software offers user programmable Engineering Units which allows collected data to be presented in the established unit being measured. Equipped with endless data analysis and reporting tools, the MadgeTech software simplifies device management and provides the user with graph, tabular or summary reports with the ability to export data to Excel as needed.